The Autumn Hunt Knife features black oxidized stainless steel blade and camouflage handle. 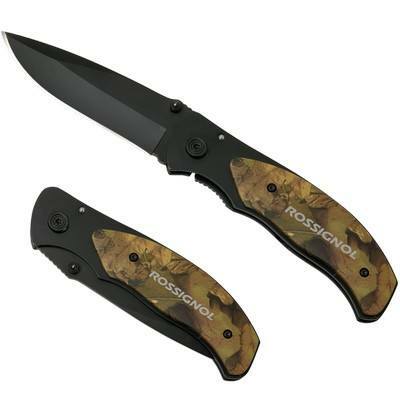 Get the odd jobs done faster this hunting season and protect yourself with the camouflage Autumn Hunt Knife. Imprint your company’s logo on the handle and blade to gain widespread brand recognition. 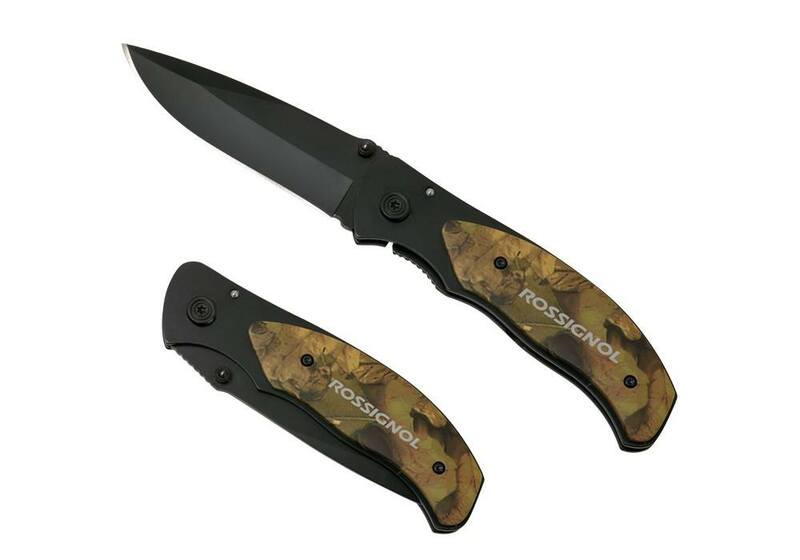 The knife features black oxidized Stainless Steel blade and camouflage handle. Thumb notches at base of blade allow quick and reliable single hand operation. It includes a clip and nylon carry pouch for storage and transport. Display this knife at campsites, hiking trails, fishing and hunting grounds for better brand visibility. From fishing to self-protection, utilize this Autumn Hunt Knife to assist you in your hunting adventures. Inventory is available late-February.